Brittany, a mysterious region that never ceases to surprise. One of the favorite destinations of the French and tourists from all over Europe, this region has managed to preserve its celtic traditions and its unique identity through time. Known for its beaches and its castles, Brittany is a perfect getaway location if you enjoy seafood, nature and historical buildings. It is also an example for many french regions that have struggled with late industrialisation. Its economical landscape has gone through significant change since the early 40’s and has evolved from a traditional decaying industry to a dynamic and high-tech one in a few decades. Brittany is now the region with the lowest poverty rate in France and with the most associations and cooperatives working together to improve local quality of life. These define many social but also professional interactions where autonomy and mutual help play a key role. Brittany is one of the regions that attracts the most tourists in France. Its varied landscapes, folkloric traditions, local products and unusual events are an ideal combination for tourists seeking adventure with a twist of surprise. Along the 2900 km of natural coastline, fresh seafood and fish arrive in the mornings and are sold in the afternoons in the many markets. You will find locals and tourists enjoying delicious buckets of mussels and fries accompanied by a glass white wine in local restaurants in plazzas or along the beaches. 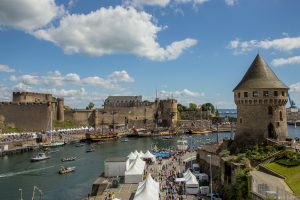 For those who prefer historical visits, you can walk along the walls of the many castles scattered throughout the region or visit the old fortified cities such as St. Malo and Vannes. After all, Brittany is the second region in France with the most officially classified “historical monuments” (after the Ile de France and Paris). A total of 3020 monuments have been identified, including the mysterious Stones of Carnac or the famous tomb of Merlin The Enchanter. Finally, for those who hate crowds, you will feel right at home in one of the many fishing villages who live everyday life according to the rhythm of the tides. You will be able to enjoy magnificent sunsets on the almost deserted beaches with the relaxing sound of the waves and the sight of “Sinagots” (typical sailboats from Brittany) returning to the port with their catch of the day. Known for its inhabitants who display their strong love for their Breton identity, the region of Asterix and Obelix remains unique in its kind. Indeed, “Briezh” (Brittany in Celtic) is proud to be part of the league of the 6 Celtic nations and remains very attached to its roots. Most of its inhabitants still speak “Le Breton”, a dialect derived from Celtic, dating back to antiquity, which you will notice on most storefronts of local shops, road signs, and in the name of many hamlets. The Breton people are fond of traditional festivities based around music, dance and crafts. For example, the “Fest-Noz“, traditional balls, are organized throughout the year. In the summer, Brittany sees the arrival of a multitude of festivals such as the famous Festival Interceltique Lorient, or the festival “Les Vieilles Charrues” which attracts nearly 300 000 festival-goers each year and hosts internationally renowned artists. Despite its rich history and strong cultural identity, Brittany has experienced difficult times. After the second world war, Brittany is severely confronted with the challenges of industrialization of the 20th century. Despite its know-how in agriculture and the developed fishing sector, the region is struggling to modernize and convert its traditional industries based on textiles and metallurgy. In 1950, Brittany lost many of its inhabitants and sees itself increasingly isolated on the French territory, economically and geographically. 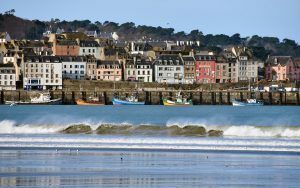 It will only be at the start of the 60s and the arrival of big industrial groups that Brittany will regain some of its momentum and catch up to the other more prosperous french regions. The focus lies on four major sectors: agribusiness, telecoms, automotive and shipbuilding. Large industrial groups such as Airbus, Nestlé, Citroen, Phillips, settle in Brittany cities and revive the industrial landscape. Vannes, Lorient, Quimper, Rennes and Brest became important centers of activity and developed very rapidly through the creation of industrial parks, universities and research centers. Finally, modern road networks and railway lines are created to facilitate access to the outlying areas. Today, Brittany attracts more and more companies to its territories. The rate of business start-ups and their shares in the industry is one of the highest in France and continues to grow. 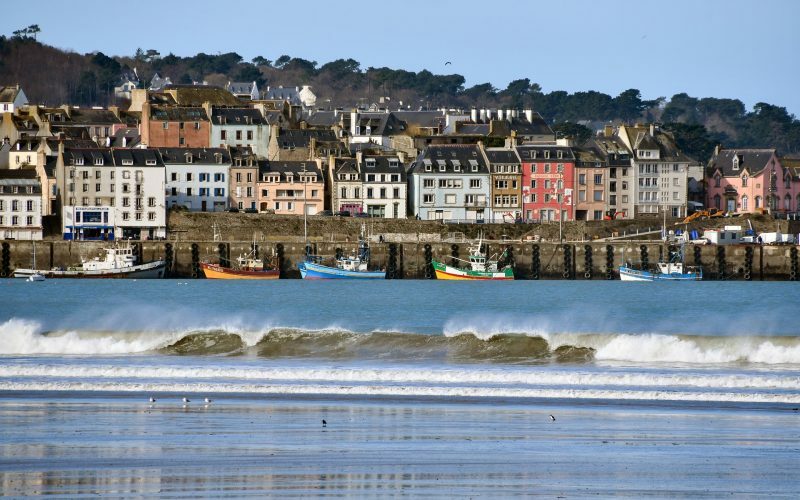 The region is n°1 in the French agricultural sector in terms of production and 1st fishing region, 15% of the regional wealth is produced in Brittany itself. 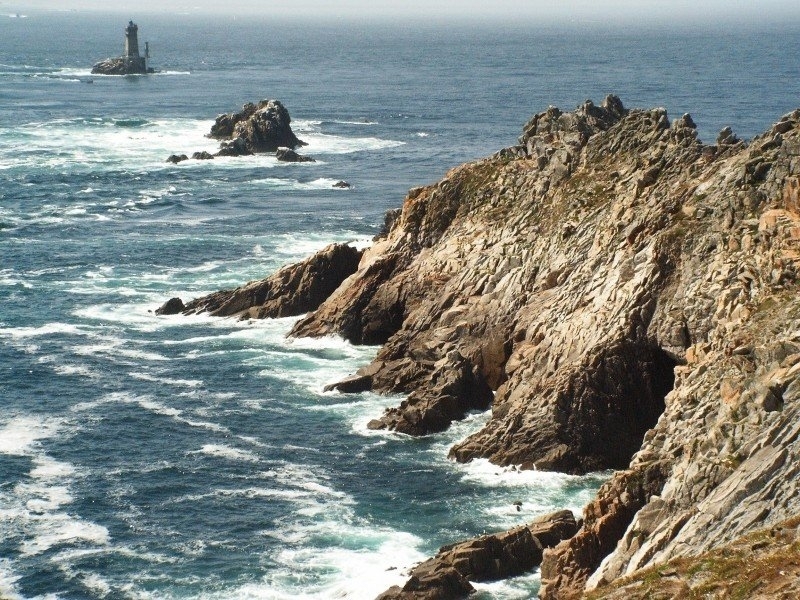 Geographical access to Brittany remains difficult and a major challenge. Despite 4 main airports from where depart most commercial flights: Brest, Rennes, Dinard Saint-Malo, Lorient-Lann Bihoué, it is easier to leave Brittany than to get there. The flights are rarely direct and will require you to stop in other cities before reaching your final destination. Despite the creation of a high-speed line (LGV) that now joins Rennes and the surrounding area, venturing closer to the coast and more inland proves difficult without a car and can turn into a nightmare near major cities where traffic jams are frequent. However, another alternative might satisfy some individuals who do not like to waste time on transportation. With Fly Aeolus and its fleet of air taxis, you can land at 18 airports or aerodromes in the four corners of Brittany, closer to your final destination and for very reasonable prices.